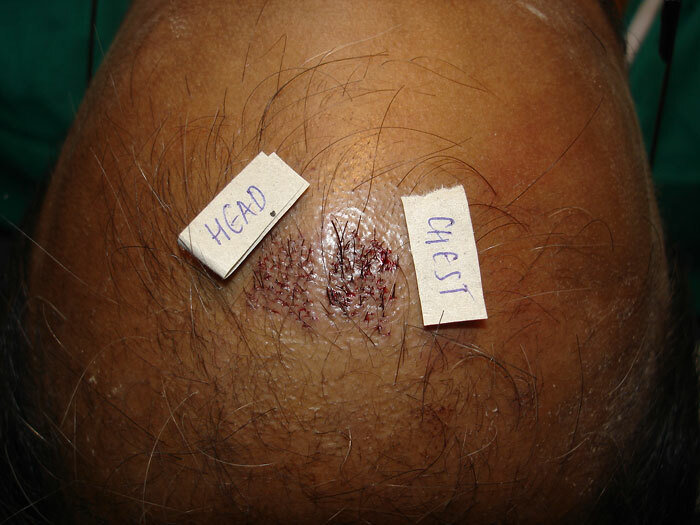 Prakash opted for test sessions from the chest hair grafts and the scalp hair grafts in two distinct identifiable areas. More than 14 months have elapsed. He is happy with the growth and has opted to go for mostly BHT with some scalp hair for further sessions. This time he is going for 700 grafts (mostly from the abdomen with approx 100 from the scalp to make the matrix/scaffolding). Those will be used to create a forelock. The pictures below show the before and 14 months after update. Following are 2 links showing the videoclips of the hair growth at the 14 month stage. thats amazing growth for BHT. People make it sound as if its completely useless, but it CAN work for some people, probably depending on the characteristics of the body hair used. I would like to see more of these tests done by you in future with clear picutures like this so their can be no doubt that BHt grows and grows well. The main thing now is that we know BHT grows. Now i think whats still outstanding is how densely we can pack these hair per/cm so that they give acceptable coverage. So can you please do documented trials on differnet densities on the same patients head. Say 50-60-70-80 grafts/cm of head hair vs BHT on the same patient so we can see the final yield and see the difference if any. Also i would like you to trial and document using two BHt grafts pers slit VS 1 graft per slit. If this works well this will make a massive cosmetic difference. And again see what the results are in 1 year. This results you posted very cleary show the growth. So if you can show clear dense growth per cm than this is a massive boost for all HT candidates. » hair grafts in two distinct identifiable areas. » More than 14 months have elapsed. » scalp hair for further sessions. » The pictures below show the before and 14 months after update. Excellent documentation Dr Arvind. Very nice result. Thanks for sharing it with us. Did you see any difference in the hair and chest hair growth characteristics? » And again see what the results are in 1 year. » Keep up the good work ! I am sure we would all like further experiments done but you cannot just request a surgeon to do such work to please you. There is a patient involved at the other end of it. Why don’t you offer to be the guinea pig for such a trial. Then you would also get info on your personal likelihood of results. Of cause some of the densities that you want to try may not work but as long as you are the guinea pig then you have the right to ask for such a procedure. I have never in my life seen BHT grow that long. I wonder if Dr. Woods has. Dr. A do you have a couple of pictures of his resident chest hair? I would like to see if it curls on the shest or grows exactly like his scalp hair. I have never see this before. Thanks in advance. » hair. I have never see this before. Thanks in advance. Its clear that the few body hairs that were transplanted did grow but do you think it would be the same result if the whole head was transplanted? Marco of thanks for asking becuase i have already undergone a BHT test sessions with Dr A, 600 chest hairs and arund 100 Beard hairs have gone into my frontal third with 3000 Head hairs. Hence i am not a good conadidate to document the growth. We need slick bald people to do these trials on. I think the best way to do this Dr A is to offer it for free to patients doing large transplants in the frontal 1/3 who cant afford to do the crown. Hence if they have a bald crown add in six 6 or 8 1cm square test boxes it shouldnt be very noticeable if distributed around the periemeter with a small border of space. ALso these patienst must not be allowed to use any hair stimualting prodcuts like propecia or minox so their can be knoe doubt as to what cause the growth. Trials like this have to be done on BHT so we know what can be achieved. i agree. The more testing with documentation, maybe we will stubble upon what makes BHT grow more in some and not so much. We have performed BHT and facial hair test sessions and I have posted my findings before this time too. In our experience, the transplanted body hair grows but does not take on any characteristics of the scalp hair. In certain individuals, it may grow longer than in its original location, but that has nothing to do with it adopting any characteristics of the scalp hair. As for some people making it sound as if BHT is useless, I think part of the reason stems from the irresponsible way in which results on an anecdotal single patient were extrapolated to make it sound as if the transplanted body hair will take on the scalp hair characteristics. Another reason is, that as time passes, the technical gap between clinics that can successfully perform BHTs and those that can not, keeps increasing. Those that enter the field without proper training, then, blame their lack on the body hair. Properly transplanted body hair and facial hair grows and retains their original characteristics (including their growth cycles). It is possible to use these hair in appropriate manner even though they do not grow just like the scalp hair. However, people with fine calibre body hair are not going to get thicker or longer hair merely because they have been transplanted to the scalp. We routinely offer test BHT and facial hair sessions (at no charge) to all patients undergoing a strip FUHT session or scalp FUSE session. Body hair and facial hair are useful additional hair that can be used to boost the donor hair supply. 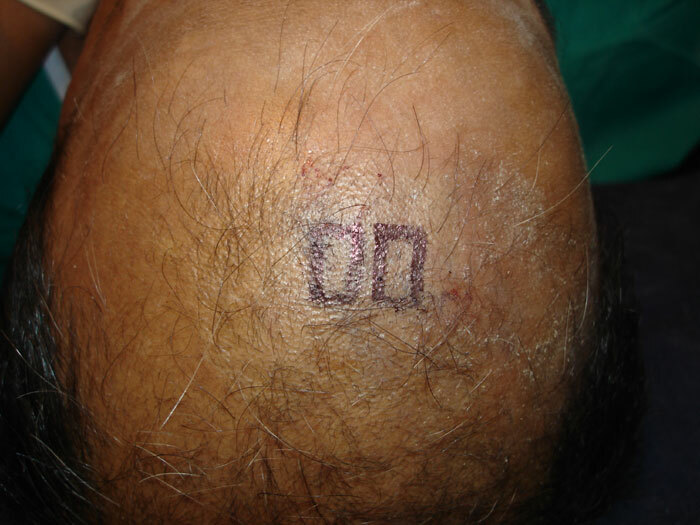 When starting the first HT of the patient, the doctor and the patient should take it upon themselves to formulate a plan on what will need to be done, when, and if, hairloss keeps progressing up the norwood scale. Theres a thread where many of out BHT results are compiled. Please view it. "I have never in my life seen BHT grow that long. I wonder if Dr. Woods has." http://www.4hair.com.au/default.asp?DocumentID=232&MenuID=164&RefMenuID=&Category= Hairtech this was in 2002. Keep up the good work Dr A !! the reason i say more trials are needed on BHT is becuase i think if you can clearly prove with 12 month photos in test patches what the maximum growth and density is achiveable with “robust donor hair” than their can be no more questions asked of BHT. of course it will depend on the patient and how robust the hair is (We need you to prove the ideal case- like this person good yield, but by adding 2 hairs per slot and above 50 grafts/cm). 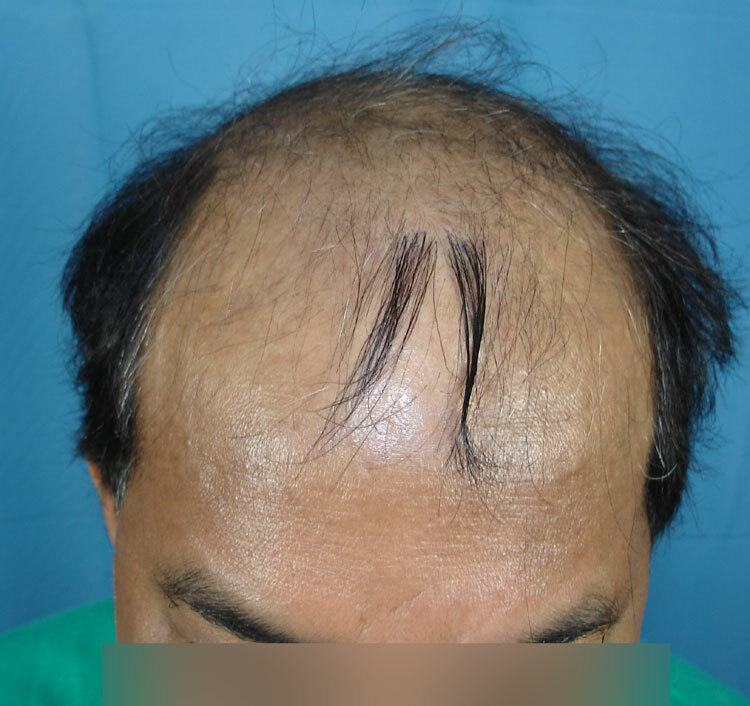 if putting 2 single hair BHt grafts into one slit yields double the hair this will provide a drastic improvement in coverage, possibly getting close to head hair coverage per graft. good luck Dr A ! » Hairtech this was in 2002. A couple of years ago when Cole put up pictures of that density study he did on the same man with BHT’s implanted in various squares just like you did with 30 hairs per cm, 45, and 60 with 2 different types of angles…and the lower density implants grew more hair and had much much higher yield, I knew that low density BHT’s would be the way to go. It makes sense folks…Body hair on your body probably gives off signals to each other when to go into anagen. You are about four times as “hairy” on your body than you ever see, but only about one fourth of your arm and leg hair, and one third of your chest hair is in anagen at any one time. This signalling is why low density BHT’s probably grow best. I imagine a mix of scalp and body hair could just about double many conventional transplants thickness because head hair probably does not give off any restrictive signals to the body hairs (as the miniturized hairs that are in vellus-type growth aren’t affecting the low density transplants of body hair). Ive thought this for a long while now. If a man would transplant 40 head hairs in various follicular units and 30 Body hairs per centimeter on his head, he’d probably have a pretty thick-looking transplant with good yield. » transplants of body hair). Ive thought this for a long while now. » thick-looking transplant with good yield. OF course, this is an UNPROVEN theory of yours about the body hairs “signalling” each other. I thought that Cole also said that scalp hair grew in better at lower densities. There are so many variables involved. I had Dr Arvind tweak a temple point and those hairs are thicker and grow much longer than the forearm hair that he used. In other words, I think that location does have something to do with it as well. You are way off about having 4 times the amount of hair that you can see. Shave your leg, you will then see about 25% (1/4th) of the hair start growing right away. The remainder are in the resting phase (telogen). Body hair is presumed to have a much longer telogen phase than scalp hair with a much higher percentage in telogen. Scalp hair has 10-15% in telogen phase at any one time and body hair is (my guess) 75%. Quote: Active growth phase (called the anagen phase), which can last up to 3 months. At any given time,20-30% of our body hair is in this phase. During anagen, the hair has an abundance of melanin and that is the key target for the laser light. To get the maximum result 5 treatments are generrally required to acheive 90-95% permanent hair reduction. Regressive phase (catagen phase), which lasts about 3 days, during which the hair stops growing but is not yet shed. About 3 - 4% of our body hair is in this phase at any given time. Many patients report that hair starts to shed immediatly, and can be found on a towel following a shower. We recommend not waxing, tweezing or using any methods to remove the hairs following your laser treatments. 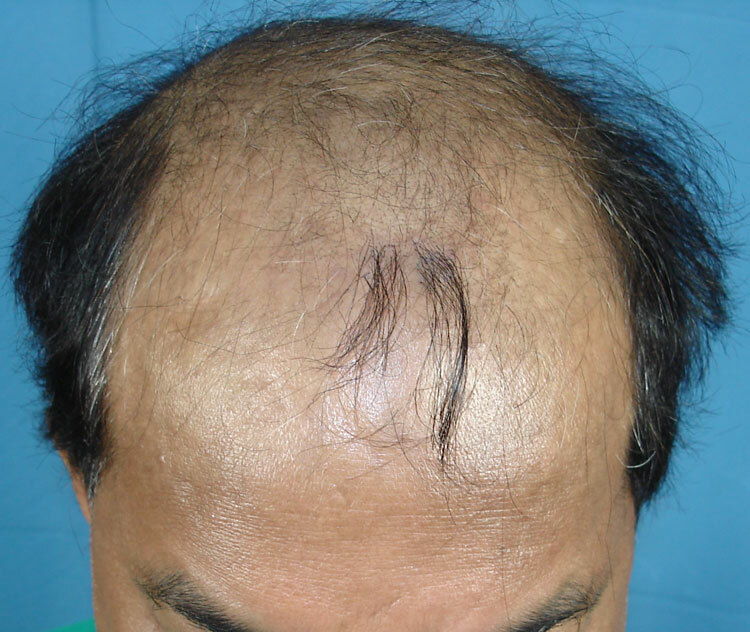 Resting phase (telogen phase), which lasts 4-14 days, at the end of which the hair falls out and a new hair begins to form. 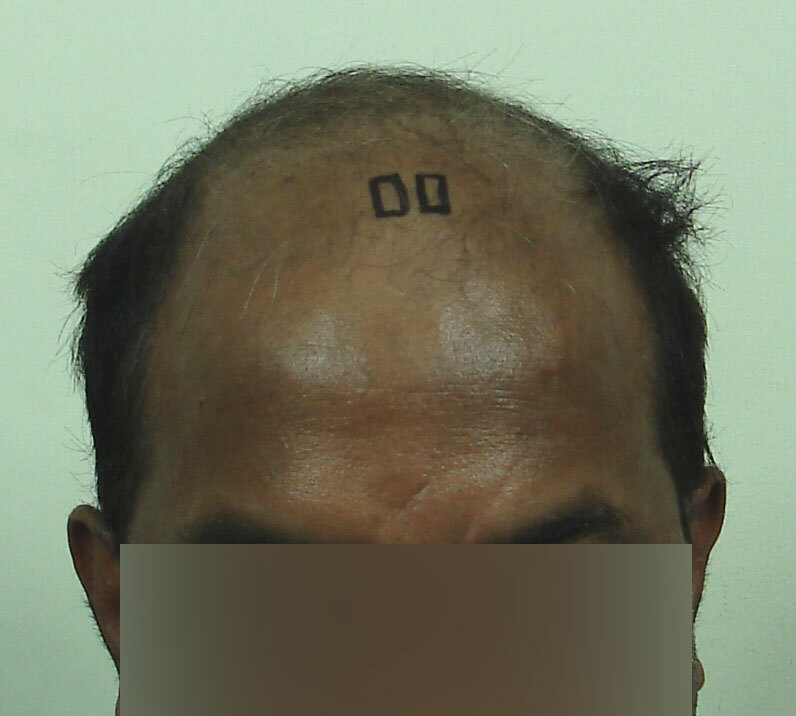 Following the laser treatment the hair appears to still grow. These hairs are in fact club (dead) hairs and within 3-4 weeks the new hair from another active growth phase will begin to grow out of the same hair shaft. Remember that even though the hair is growing out of the same hair shaft, the follicle growing is new and is now ready for the laser light. The GentleLASE most effectively disables hair that is in the active growth (anagen) phase. If we get all of the active hairs each treatment that is generally 30 days apart, you would have disabled 20-30% of all hair follicles. 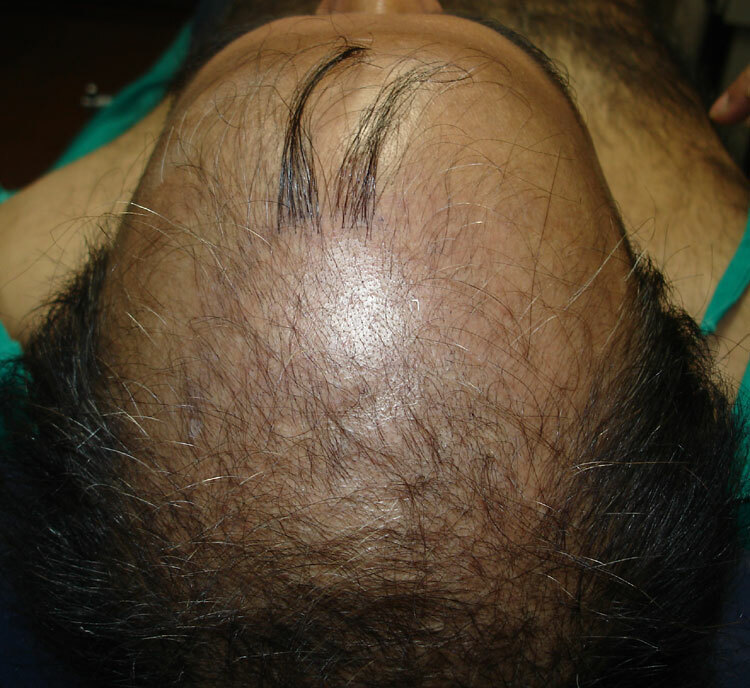 Because all the hair in a treated area may not be in the anagen phase, more thanone laser treatment is necessary to remove the hair that subsequently enters the growth phase. Our goal after 5 treatments is to have sustained 90-95% permanent hair reduction. Lemmee see…20-30% of our body hair in anagen phase at any one time. This means 70-80% of our body hair isn’t growing at any one time. These people remove hair for a living and I dont, I think I’ll trust them. » to 3 months. At any given time,20-30% of our body hair is in this phase. » generrally required to acheive 90-95% permanent hair reduction. » following your laser treatments. » growing is new and is now ready for the laser light. » have sustained 90-95% permanent hair reduction. I quoted about 25% so I was certainly in the ball park of 20-30%. This is the statement that I was refuting. I disagree with your statement that we are 4 times as hairy as we ever see. Do not confuse “anagen” hair as visible and a hair in another phase as invisible. You are quoting from a laser hair removal site. They remove hair for a living, they don’t grow it. Further quotes from your chosen laser hair removal site. » findings before this time too. » any characteristics of the scalp hair. » transplanted body hair will take on the scalp hair characteristics. » blame their lack on the body hair. » like the scalp hair. » or longer hair merely because they have been transplanted to the scalp. » patients undergoing a strip FUHT session or scalp FUSE session. » progressing up the norwood scale. Wouldn’t you need to see the donor area on the body to determine if characteristics are similar? We definitely know it grows. » remove hair for a living, they don’t grow it. Good point. Most body hair is in a telogen phase but is visible and well conected. It just isn’t growing.